يقع فندق Ascot Motor Inn في منطقة تتمتع بمعالم كثيرة، وتعتبر المكان الأنسب لاكتشاف هذه المدينة رائعة الجمال و ما يحيطها. يمكن من هنا للضيوف الاستمتاع بسهولة الوصول إلى كل ما تقدمه هذه المدينة النابضة بالحياة. يضفي محيط الفندق اللطيف وقربه من أكثر المعالم السياحية جذبًا سحرًا خاصًا على هذا الفندق. استمتع بالخدمات الراقية والضيافة التي لا مثيل لها بهذا الفندق في هذه المدينة رائعة الجمال. يقدم العقار خدمة التنظيف يوميًا, خدمة غسيل ذاتية, تسجيل وصول/خروج سريع, تخزين الأمتعة, واي فاي في المناطق العامة لضمان الراحة القصوى لضيوفه. يمكن للنزلاء الاختيار من ضمن مجموعة من الغرف المصممة بعناية لتعكس جواً من الراحة، والتي يتجاوز عددها 37. يمكنك طلب اللائحة الكاملة للخدمات في الفندق ومن بينها مسار جولف - ضمن 3 كم, حمام سباحة خارجي, حديقة. يشكل Ascot Motor Inn بخدماته الراقية وموقعه الممتاز، قاعدة مثالية للاستمتاع بإقامتك في المدينة. Owners appear to be of asian heritage and are letting the outside run down and have no clue of how to welcome patrons, dress code is lacking as well. I have stayed there a few years ago and it was delightfull friendly and the on site resturaunt was overflowing with customers, not this time only 2 other couples were having meals. If another motel was close by I would opt for it. 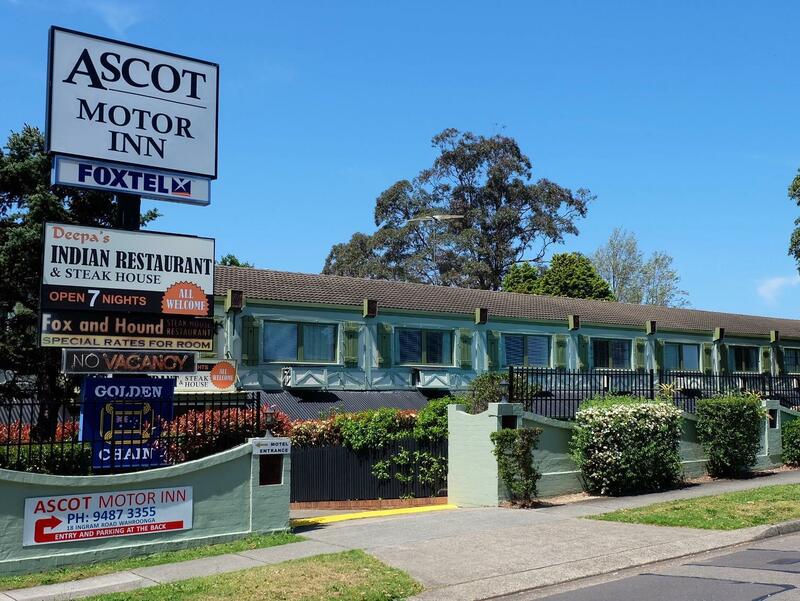 The Ascot Motor Inn closes its reception at 10pm, despite that they allow you to choose a late arrival time on Agoda. They then have your money and unless you can find somewhere else late at night you will be forced to pay a $30 after hours fee. This should be advertised on Agoda so that you can make an informed decision. When you arrive after 10pm the host will shout at you through a locked door, while you slip your ID and credit card through a slot to them. They then give you your key and tv remote control through the slot. (What?) After the shouted conversation we made it to our room and decided to shower because we were leaving early in the morning. Disturbingly there was very little water pressure and no hot water. That capped off our evening. I would not recommend this place. The staff are rude, their advertising with Agoda is deceptive, they don’t have any hot water and despite other reviews to the contrary it was noisy. We were waiting to move into a new house in the area and stayed at five Airbnbs in area and one other motel. All the Airbnbs were better value. Ascot is dated and tired. Receptionist was less than accommodating. She told me my opinion didn't matter. We were looking forward to the pool but it wasn't clean and inviting. Bathroom didn't have an exhaust fan. Restaurant was good, food was nice. Room was old but clean. Clean, no problems, WiFi not free though. No hot water both morning and evening, AC unit in poor condition with the front falling off, Dirty glasses,stains on bed, Dirty light fittings. Very average and very poor as you cant enjoy a deasent shower to wash your hair and have a shave. Will find another location next year as well as my associates. Poor location. Staff never smile. Strange noise from rooftop at night. Toilet and bathroom are occasionally not cleaned during my 7 days stay. Not recommend to others and I shall not stay in this motel again. The indian restaurant. The firm bed. The convenience of the car park. 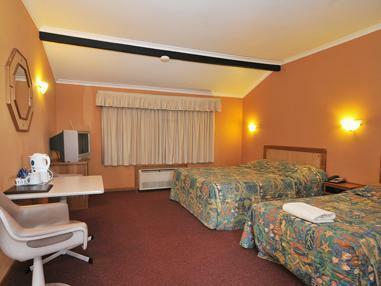 This motel is value for money. 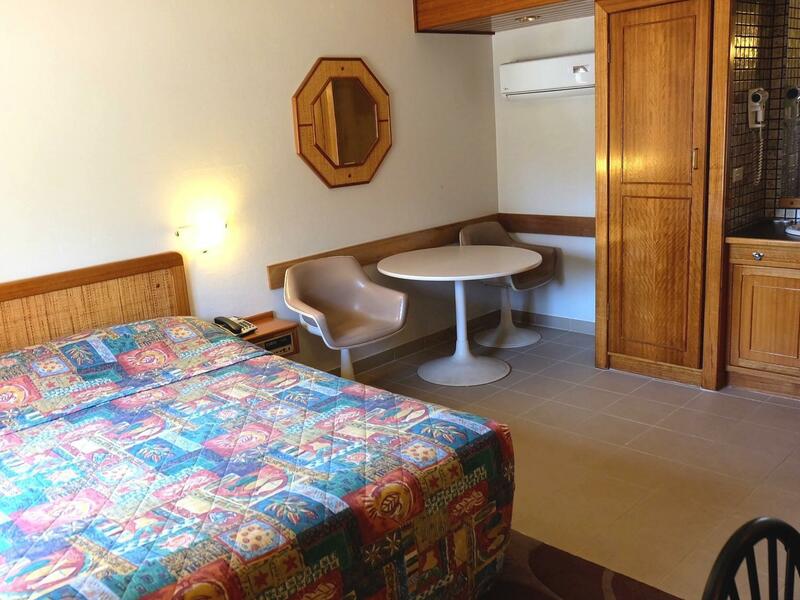 The tired 70's interiors are clean but the aircon was noisy, no plug for the hand basin and no wash cloth in the shower. The Indian restaurant serves good food. 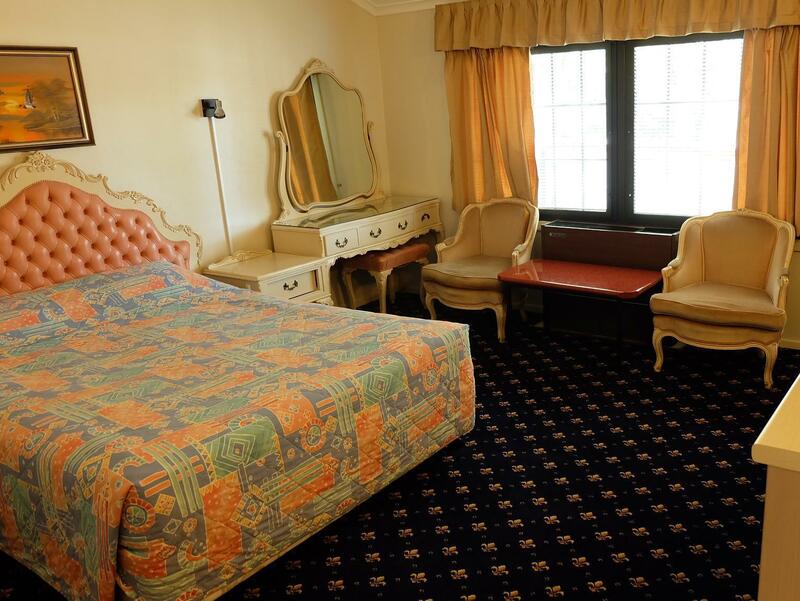 Close to Hornsby, cheap and comfortable rooms with a restaurant attached. 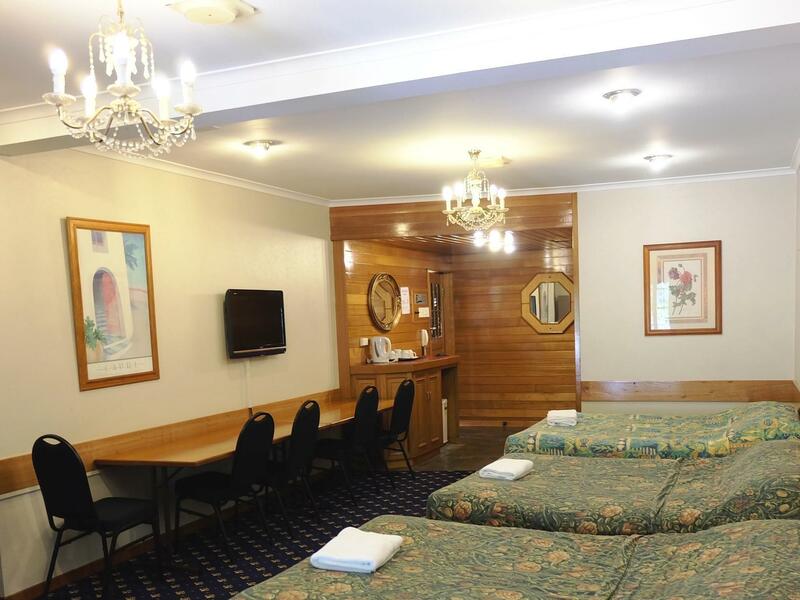 Pleasant and basic facilities, 10 minute walk to Waitara station with connections to Hornsby and Newcastle and City rail lines. Close to F3 Freeway if you are travelling further north. NEVER AGAIN.This was the motel from hell. At The restaurant we ordered 2 breads, 2 entrees, 2 rice bowls and three main meals and they were delivered all together less the entrees plus a rice which we did not order. The rice was cold and one main meal was so tough it was not eaten. We asked for the manager and were told that he would not be available until the next morning. The motel manager came to our room and demanded that we pay for the meal. We also booked a room for our Daughter and her family from Canberra and when they arrived they were told that their room was cancelled as my credit card did not work. The reason she knew that my card did not work was because tried to use it to pay the restaurant.The police were called and informed the manager that what she had done related to fraud. After meeting with the restaurant manager the next day the bill for the meal was amended and paid for. No complaints about our stay, only used as a place to sleep though. Never tried the restuarant or other facilities.